BEAUTIFUL ADDITION to your Catholic holidays. ENJOY THE SMELL of Mass at Home! 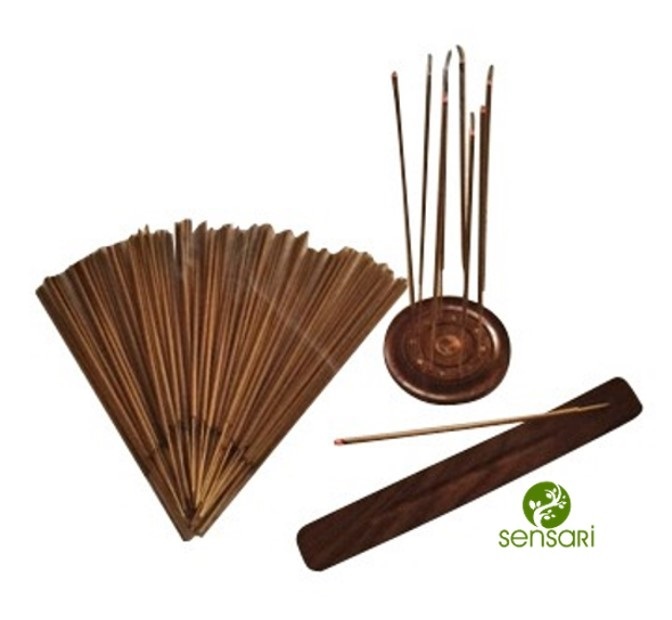 90 INCENSE STICKS - 30 each of Frankincense, Myrrh and Catholic Essence. 10" long. 2 BURNERS - an incense holder that holds at least 4 sticks and a bonus single ash catcher. Burner design may vary from picture shown. NICE BURN, UNBELIEVABLE SCENTS - You'll feel like you're back in church.